Felix Frankfurter, the son of a Jewish merchant, was born in Vienna, Austria, on 15th November, 1882. Twelve years later the family emigrated to the United States. After graduating from New York City College in 1902, Frankfurter entered Harvard Law School. He studying for his degree he also edited the Harvard Law Review. In 1906 Henry Stimson, a New York City attorney, recruited Frankfurter as his assistant. When President William Howard Taft appointed Stimson as his secretary of war in 1911, he took Frankfurter along as law officer of the Bureau of Insular Affairs. Frankfurter also became involved in the Tom Mooney case. 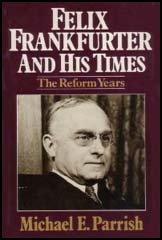 According to Robert Lovett: "Felix Frankfurter, on a mission to examine and report to President Wilson on labor difficulties in the West, saw through the plot and warned the president of the danger in the execution of an innocent man whose fate was exciting workers all over the world. After commutation of the sentence to imprisonment for life, the long struggle began. One by one the folds of perjury were peeled away until the nucleus of the noxious growth was reached." When Stimson lost office in 1914, Frankfurter returned to the Harvard Law School as professor of administrative law. In 1918 he decided to spend time in London. His friend, Graham Wallas, a tutor at the London School of Economics, asked one of his students, Ella Winter, if she wanted to work for him: "A good friend of mine has come to London on a highly confidential mission and asks me to suggest someone to help him... Felix Frankfurter is a professor at the Harvard Law School and Chairman of the War Labour Policies Board in America, and is here to learn what he can from England's experience. Would you like to work for him." Winter met Frankfurter at Claridge's Hotel and wrote about it in her autobiography, And Not to Yield (1963): "He was a short, mercurial man, with glasses and a cleft chin, who smiled, talked in quick staccato phrases, flung questions at one, while attending to twenty other matters at the same time. His smile showed a row of dazzling teeth. Even at rest he seemed in motion. He was warm, friendly, trusting, and assumed so immediately and unquestionably that I would do this job, indeed that I could do anything, that doubt, fear, hesitation vanished." As a research assistant and secretary for Frankfurter, she attended the Versailles Peace Conference in 1919. Frankfurter asked her to take a message to Lincoln Steffens. "He's a great wit, Steffens is, fond of saying things differently. He's an American newspaperman, much older than you, in his early fifties; he muckraked our cities, knows a lot about politics. You can learn from him, he'll give you a different picture than you got at the London School of Economics." Ella Winter later recalled: "The man was not tall, but he had a striking face, narrow, with a fringe of blond hair, a small goatee, and very blue eyes, and he stood there smiling. The face had wonderful lines... There was something devilish - or was it impish? - in the way this figure stood grinning at me." Winter and Steffens married in 1924. Frankfurther acquired a reputation for holding progressive political views. A founder member of the American Civil Liberties Union (ACLU) he criticised the Tennessee Anti-Evolution Law. He also joined forces with John Dos Passos, Alice Hamilton, Paul Kellog, Jane Addams, Heywood Broun, Eugene Lyons, William Patterson, Upton Sinclair, Dorothy Parker, Ruth Hale, Ben Shahn, Edna St. Vincent Millay, Susan Gaspell, Mary Heaton Vorse, John Howard Lawson, Freda Kirchway, Floyd Dell, Katherine Anne Porter, Michael Gold, Bertrand Russell, John Galsworthy, Arnold Bennett, George Bernard Shaw and H. G. Wells in the campaign to overturn the death sentence imposed on Nicola Sacco and Bartolomeo Vanzetti. Isaiah Berlin saw Frankfurter give a lecture when he was a student at Corpus Christi College: "He talked copiously, with an overflowing gaiety and spontaneity which conveyed the impression of great natural sweetness; his manner contrasted almost too sharply with the reserve, solemnity and, in places, vanity and self-importance of some of the highly placed persons who seated themselves round him and engaged his attention. He spoke easily, made his points sharply, stuck to all his guns, large and small, and showed no tendency to retreat from views and political verdicts some of which were plainly too radical for the more conservative of the public personages present". Frankfurter gave legal advice to Franklin D. Roosevelt when he served as governor of New York (1929-1932). When Roosevelt became president he often consulted Frankfurter about the legal implication of his New Deal legislation. He also arranged for some of his former talented students, including Thomas Corcoran and Ben Cohen to help draft legislation. Hugh Johnson described Frankfurter as "the most influential single individual in the United States". Frances Perkins, the Secretary of Labor, admitted in her autobiography, that she often asked Frankfurter for advice on drafting legislation. Frankfurter explained in a letter to Walter Lippmann that he supported Roosevelt's gradualism: "Mine being a pragmatic temperament, all my scepticism and discontent with the present order and tendencies have not carried me over to a new scheme of society, whether socialism or communism... Those of us who, by temperament or habit of conviction, believe that we do not have to make a sudden and drastic break with the past but by gradual, successive, although large, modifications may slowly evolve out of this profit-mad society, may find all our hopes and strivings indeed reduced to a house of cards." William E. Leuchtenburg, the author of The FDR Years: Roosevelt and his Legacy (1995), has pointed out that Roosevelt was criticised for his relationship with people like Frankfurter: "In the New Deal years, the seats of power were no longer monopolized by white Anglo-Saxon Protestants. Commentators made much of the closeness to FDR of Jews such as his counselor and subsequently Supreme Court Justice Felix Frankfurter and his chief speechwriter Samuel Rosenman." In 1939 Franklin D. Roosevelt appointed Frankfurter as a Supreme Court justice. 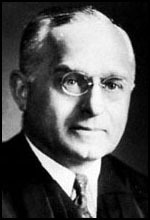 Frankfurter took a strong stand on individual civil rights and this led to him being condemned as an "extreme liberal". However he upset many radicals by refusing to protect socialists and communists blacklisted during what became known as McCarthyism. His long-term friend, Alice Hamilton, asked him: "Why are we the only western country that lives in terror of native Communists. All the European countries have open and above-board political Communist parties some even have members of Parliament or whatever, and they do not have Un-Dutch Activities Committee. Look at the contrast between the English treatment of Klaus Fuchs and our treatment of the Rosenbergs. Fuchs is a scientist (which Rosenberg was not) he gave valuable atomic secrets to the Russians (Urey testified that Rosenberg did not know enough to do that) he confessed (the Rosenbergs refused to, though offered their lives as reward) Fuchs acted during the war, the Rosenbergs during peace." 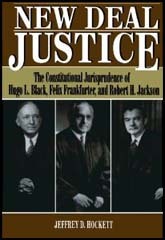 Frankfurter wrote several books including The Business of the Supreme Court (1927), Justice Holmes and the Supreme Court (1938), The Case of Sacco and Vanzetti (1954) and Felix Frankfurter Reminisces (1960). Felix Frankfurter died in Washington on 22nd February, 1965. Mine being a pragmatic temperament, all my scepticism and discontent with the present order and tendencies have not carried me over to a new scheme of society, whether socialism or communism... Those of us who, by temperament or habit of conviction, believe that we do not have to make a sudden and drastic break with the past but by gradual, successive, although large, modifications may slowly evolve out of this profit-mad society, may find all our hopes and strivings indeed reduced to a house of cards. It was inevitable that the case of Tom Mooney should become a fixation of liberals. An aggressive labor leader in San Francisco, he was deliberately "framed" as having caused an explosion which resulted in the death of several participants in a "preparedness" parade. Felix Frankfurter, on a mission to examine and report to President Wilson on labor difficulties in the West, saw through the plot and warned the president of the danger in the execution of an innocent man whose fate was exciting workers all over the world. After commutation of the sentence to imprisonment for life, the long struggle began. One by one the folds of perjury were peeled away until the nucleus of the noxious growth was reached. The bluff cattle buyer "who had seen Mooney plant the bomb" was shown to have been miles away from the scene. He was also revealed as having written to a friend in Ohio to come to California to add another lie. Was he prosecuted for perjury? To ask the question is naive. Year after year governors and the Supreme Court of California wriggled like snakes to avoid a formal admission of the criminality of the state. It was not until the Christmas of 1938 that Tom Mooney was pardoned. Why are we the only western country that lives in terror of native Communists. All the European countries have open and above-board political Communist parties some even have members of Parliament or whatever, and they do not have Un-Dutch Activities Committee. Look at the contrast between the English treatment of Klaus Fuchs and our treatment of the Rosenbergs. Fuchs is a scientist (which Rosenberg was not) he gave valuable atomic secrets to the Russians (Urey testified that Rosenberg did not know enough to do that) he confessed (the Rosenbergs refused to, though offered their lives as reward) Fuchs acted during the war, the Rosenbergs during peace.